Finally, the Turing GPU has arrived at Geeks3D’s lab. It was time! The GeForce RTX 2080 is based on the Turing TU104 GPU. It’s not the most powerful Turing variant (RTX 2080 Ti) but compared to previous generation (Pascal) there is a important leap in performances and in features. In performances because in many cases the RTX 2080 is 30% faster (even more, look at the hashcat/OpenCL test) than the GTX 1080 and in features thanks to new tensor cores (for AI apps and for the new DLSS antialiasing), RT cores (for real time ray tracing), or mesh shading. In this review I will focuse on regular 3D tests and I won’t talk about ray tracing. The TU104 GPU that powers the RTX 2080 Strix is factory-overclocked: 1515MHz for the base clock (same as reference board) and 1860MHz for the boost clock (+60MHz overclock compared to the ref board). The 8GB of GDDR6 memory (vendor: Samsung) are clocked at 7000MHz (or 1750MHz real speed) like the reference board. The ROG Strix RTX 2080 is heavy and bulky with its enormous 2.7 slot VGA cooler and its three 85mm fans. The VGA cooler is massive but does its job perfectly as you’re going to see. The Strix also supports the 0dB technology that allows the VGA cooler to be passive (fans are stopped) if the GPU temperature is below 55°C. The Strix RTX 2080, as many other models from ASUS, supports the AURA RGB lighting technology. AURA lighting can control the lighting of your ASUS graphics card, motherboard and even mouse. Moreover, ASUS is one of the rare manufacturers that provide a SDK allowing programmers to embed AURA lighting into their applications. I added last year the support of AURA lighting to GeeXLab. So you can now control by code the RGB lighting of your Strix (see this article for an overview). More marketing stuff can be found on the Strix RTX 2080 OC Edition homepage. The bundle: the graphics card, an install doc and a CDROM. Very very minimal! Now the real stuff: the RTX 2080! Our engineers have boosted the ROG Strix GeForce® RTX 2080’s structural integrity by 3X with a metal brace that prevents excessive torsion and lateral bending of the PCB. At the end of the card, there is an ugly fan-cable and three free connectors. The red connector is a 4-pin RGB header for an RGB fan or LED strip. The two other connectors are for additional fans. Sometime you just want to turn off all the lights… That’s why we’ve outfitted the ROG Strix GeForce® RTX 2080 with a convenient stealth mode button. Give it a press and you’ll instantly transform from a master of the color-verse into a stealthy ninja. Dual-BIOS: the RTX 2080 board comes with a dual-BIOS switch to quickly select performance or quiet mode. The Strix RTX 2080 has two 8-pin power connectors. That means this RTX board is designed to support up to 375W (150W per power connector + 75W via the PCIe slot) of power consumption. The new NVLink connector for fast data exchange between several GPUs. The usual GPU Caps Viewer, GPU Shark and GPU-Z screenshots. In this test, the RTX 2080 is 26% faster than the GTX 1080 if we look at the graphics score only. In this test, the RTX 2080 is 24% faster than the GTX 1080 if we look at the graphics score only. In this test, the RTX 2080 is 20% faster than the GTX 1080 if we look at the graphics score only. In this test, the RTX 2080 is 41% faster than the GTX 1080 if we look at the graphics score only. In this test, the RTX 2080 is 26% faster than the GTX 1080. In this test, the RTX 2080 is 29% faster than the GTX 1080. Unigine Valley is a Direct3D/OpenGL benchmark from the same dev team than Unigine Heaven. More information can be found HERE and HERE. In this test, the RTX 2080 is 18% faster than the GTX 1080. In this test, the RTX 2080 is 39% faster than the GTX 1080. Rhodium LC (LC for Liquid Carbon!) is a new GPU pixel shader benchmark made with GeeXLab and based on this shadertoy demo. You can download RhodiumLC from THIS PAGE. In this test, the RTX 2080 is 32% faster than the GTX 1080. In this test, the RTX 2080 is 36% faster than the GTX 1080. MSI Kombustor 2017 (v0.6.2.0) is the new version of MSI Kombustor. For this test, I used TessMark X32 which is an OpenGL 4.0 tessellation benchmark with a tessellation level of 32. You can download MSI Kombustor 2017 from THIS PAGE. In this test, the RTX 2080 is 20% faster than the GTX 1080. 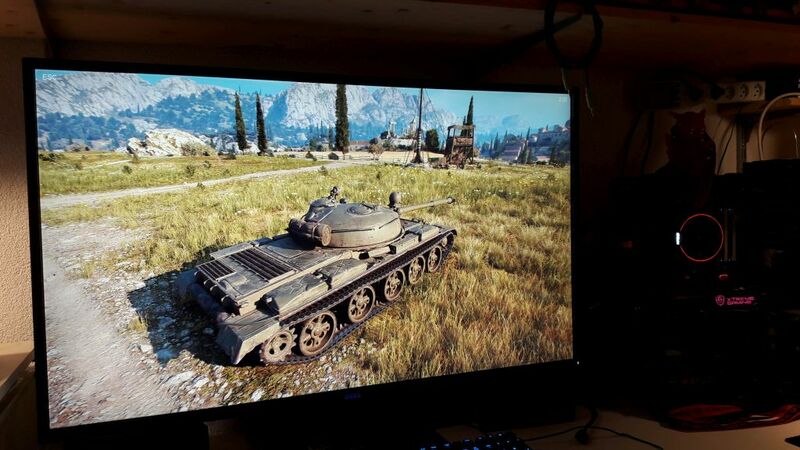 World of Tanks enCore is a new graphics benchmark based on the game World of Tanks. More information about this benchmark can be found HERE. In this test, the RTX 2080 is 14% faster than the GTX 1080. This benchmark is based on the Final Fantasy XV Windows Edition video game. More information HERE. In this test, the RTX 2080 is 21% faster than the GTX 1080. In this test, the RTX 2080 is 31% faster than the GTX 1080. Resident Evil 6 (RE6) is a Direct3D 9 benchmark. RE6 benchmark can be downloaded from this page. Settings: Resolution: 1920 x 1080, anti-aliasing: FXAA3HQ, all params to high. In this test, the RTX 2080 is 4% faster than the GTX 1080. Settings: Resolution: 3840 x 2160, anti-aliasing: FXAA3HQ, all params to high. In this test, the RTX 2080 is 24% faster than the GTX 1080. This test is based on the built-in benchmark shipped with Far Cry 5. More information HERE. In this test, the RTX 2080 is 6% faster than the GTX 1080.
hashcat is a OpenCL-based password cracker. More information on hashcat can be found in this article. You can download the latest HashCat for Windows HERE. For this review, I used the built-in benchmark and tested the MD5 and SHA-256 performances. In this test, the RTX 2080 is 61% faster than the GTX 1080. In this test, the RTX 2080 is 71% faster than the GTX 1080. This burn-in test has been done with FurMark 1.20.1.0. As usual, the first thing to do before running a stress test is to set to the max the power target limit. I used ASUS GPU Tweak II 1.6.7.0 for this job. The RTX 2080 Strix has a max power limit of 125% TDP (value read in GPU Shark and in GPU Tweak). So I set the power limit to 125% TDP using GPU Tweak. If you don’t set the power limit to the max, the GPU is throttled when FurMark is running. I also did a test with default power limit (100%TDP). where 0.9 is the efficiency factor of the Corsair AX 860i PSU and 20 is an estimation of the additional CPU load when FurMark is running. These numbers looks coherent with the theoretical TDP: 250W. The GPU temperature reached a max value of 68°C which is very nice. The massive VGA cooler of the RTX 2080 Strix does its job very well and what’s more, it does it quietly. Amazing! With Turing GPU, NVIDIA provided to graphics cards makers a library (NV OC Scanner) to automatically find stable overclocking settings. EVGA Precision, MSI Afterburner or ASUS GPU Tweak II have all added this feature. Since it’s a review about an ASUS graphics card, let’s use ASUS GPU Tweak II. The new OC Scanner function is available in ASUS GPU Tweak II v1.8.9.0+. You can download the latest version of GPU Tweak from THIS LINK. To start the automatic overclocking, just click on the OC Scanner button. The scanner runs during around 10 minutes and at the end displays the result. In my case, GPU Tweak found +107MHz. If you’re ok with the value found by the OC Scanner, just click on Apply. – overclocked boost frequency (+107MHz): 5109 points (85 FPS) => +5%. During this review I had to upgrade my testbed. Why? Because with my previous testbed based on an AMD Ryzen 7 1700, I got very abnormal results showing sometimes a RTX 2080 slower than a GTX 1080 or even than a GTX 1070! I suspected the Ryzen CPU and I was right! I upgraded the test bench setup with an Intel Core i7-8700K + a Z390 motherboard and things got back to the normal. The RTX 2080 is a beast at eating pixels and crunching numbers! And such a beast must work with a powerful CPU. In my case, the Ryzen 7 1700, even with its 8 cores / 16 threads was not enough fast for delivering commands to the RTX 2080. The Core i7-8700K with its 6 cores / 12 threads does that job perfectly! Moreover, the RTX 2080 is so fast at computing 3D graphics that in some benchmarks, there is only a small difference in speed between the RTX 2080 and the GTX 1080. In these cases, we have clearly a CPU-bound situation. If you plan to run 3D graphics and games at full HD resolutions (1920×1080), the RTX 2080 is just overkill: a GTX 1080 is enough and perfectly suited. Higher resolutions such as 4K (3840×2160) are the realm of the RTX 2080. In 4K, the RTX 2080 is more or less 30% faster than the GTX 1080. In GPU-intensive tasks, such has TimeSpy, FurMark, or RhodiumLC, the difference in performance with the GTX 1080 is very visible: +36% in RhodiumLC, +39% in FurMark and +41% in 3DMark TimeSpy. In GPU computing tasks, the difference is more important: up to +70% in hashcat! In 4K gaming (Far Cry 5, Final Fantasy XV, World of Tanks enCore) the RTX 2080 is 30% faster than the GTX while it’s not the case in full HD gaming. For example, the RTX 2080 is only 6% faster than a GTX 1080 in Far Cry 5 @ 1920×1080! In the same situation with the Ryzen 7 1700, the RTX 2080 was slower than the GTX 1080. ASUS Strix RTX 2080 is a nice card and I really like its finishing (except the ugly fan cable). The backplate, the reinforced frame and the imposing VGA cooler (next-gen DirectCU cooler) give you the feeling that the card can resist to anything. The VGA cooler is quiet in idle state and thanks to 0dB technology (enabled with the dual-bios switch on the PCB), the card is passive in idle state if the GPU temperature does not exceed 55°C. With serious graphics loads, we can hear the fans, but it’s really acceptable. And real time ray tracing? NVIDIA RTX/DXR??? I will talk about real time ray tracing with the GeForce RTX as soon as I will have coded some tests in . I’m waiting for the VK_NV_raytracing extension to be released in the GeForce driver (should happen as soon as NVIDIA will release a Vulkan 1.1.91 driver). Currently there is no real test or demo with real time ray tracing (except BFV). Final words: the RTX 2080 (as well as the RTX 2080 Ti) is a extremely powerful graphics card but it requires a powerful CPU. No mercy. This ultra processing power could it explain the excessive price? I have really Issues with the RTX 2080 Card – i have my 3rd Card now and also switched Motherboard,CPU ,RAM and even PSU to test. But I still have Stuttering while Gaming – Benchmarks seems fine. Have you tried to update the bios on your motherboard? And remember to set her XMP profile on your ram? Give it a shot and try a clean install of windows 10 version 1809. Always download the newest driver from Nvidias website. Make sure its not a beta.